* According to crack statistics from the Arrestee Drug Abuse Monitoring (ADAM) Program, a median of 29.1% of adult male arrestees and 30.7% of adult female arrestees tested positive for cocaine (all varieties) at arrest in 2001. The adult male samples were compiled from 33 U.S. sites and the adult female samples were compiled from 22 sites. A median of 18.9% of adult male arrestees and 28.5% of adult female arrestees reported using crack at least once in the year before being arrested. * According to the 2001 National Household Survey on Drug Abuse Crack Statistics, approximately 6.2 million (2.8 percent) Americans age 12 or older had tried crack at least once in their lifetime, 1.0 million (0.5 percent) used crack in the past year, and 406,000 (0.2 percent) reported past month crack use. * Almost a quarter (24%) of the cocaine emergency department (ED) mentions in 2001 were attributed to crack. The number of cocaine ED mentions increased 35% since 1994 and 20% since 2000. During 2001, there were 46,964 crack ED mentions. Preliminary data show that there were 20,694 ED crack mentions from January to June 2002, representing 23% of the total cocaine ED mentions during that time period. * Among high school students surveyed in the 2002 Monitoring the Future Study Crack Statistics, 2.5% of 8th graders, 3.6% of 10th graders, and 3.8% of 12th graders reported using crack at least once during their lifetime. In 2001, these percentages were 3.0%, 3.1%, and 3.7%, respectively. * Apparently, users looking for a homemade crack cocaine recipe will try different angles, hoping perhaps to fly under the radar. Terms such as “crack cocaine pictures”, “cooking crack cocaine,” and “smoking crack” also rank among the top 30 search concepts on the internet. * Because crack is smoked, the user experiences a high in less than 10 seconds. This rather immediate and euphoric effect is one of the reasons that crack became enormously popular in the mid 1980s. Another reason is that crack is inexpensive, both to produce and to buy. * Crack cocaine is the only drug for which the first offense of simple possession can trigger a federal mandatory minimum sentence. Possession of 5 grams of crack will trigger a 5 year mandatory minimum sentence. * Crack statistics show that crack cocaine is often available in small vials and sold in small quantities, usually 300-500mg. Each of these vials can afford 2-4 inhalations. 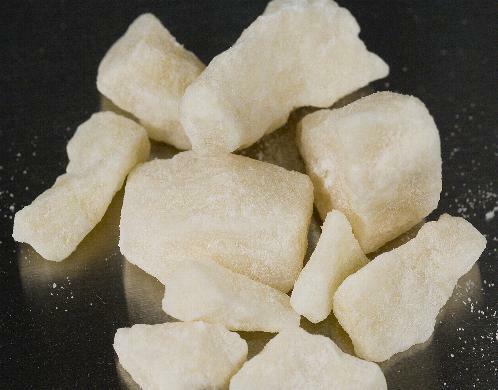 * Crack, which may be as much as 90 percent pure, is five to six times stronger than the cocaine normally purchased on the street. * From 1992–2000, the number of admissions to treatment in which crack cocaine was the primary drug of abuse decreased from 183,282 in 1992 to 158,524 in 2000. The crack statistics admissions represented 12% of the total drug/alcohol treatment admissions during 1992 and 9.9% of the admissions during 2000. The average age of those admitted to treatment for crack cocaine during 2000 was 35.7 years. * In 2001, crack statistics showed 2% of college students and 4.7% of young adults (ages 19–28) reported using crack cocaine at least once during their lifetimes. 0.9% of college students and 1.3% of young adults reported past year crack use, while 0.1% of college students and 0.4% of young adults reported using crack in the past month. * In federal court today, low-level crack dealers and first-time offenders sentenced for trafficking of crack cocaine receive an average sentence of 10 years and six months. * When searching for “crack cocaine” online, this specific phrase is accompanied most often by “make crack” (54,508 occurrences) and “make crack cocaine” (52,591). These key phrases are followed closely by “crack cocaine recipe” (36,049), “making crack” (24,786), and “how to make crack” (17,898). * Crack statistics reveal that while the term “cocaine addiction” is searched online over 115,000 times each year, “crack cocaine” is typed an incredible 491,569 times in search engines.